Is this the real life? Is this just fantasy? -- This week, it's supposed to go above zero. Consistently. As in, snow-meltingly consistently. As in, perhaps new OOTD shots will be taken outside, rather than my careful timing and rationing of my OOTDs from Florida in January. Happy March, everyone! We've almost made it! 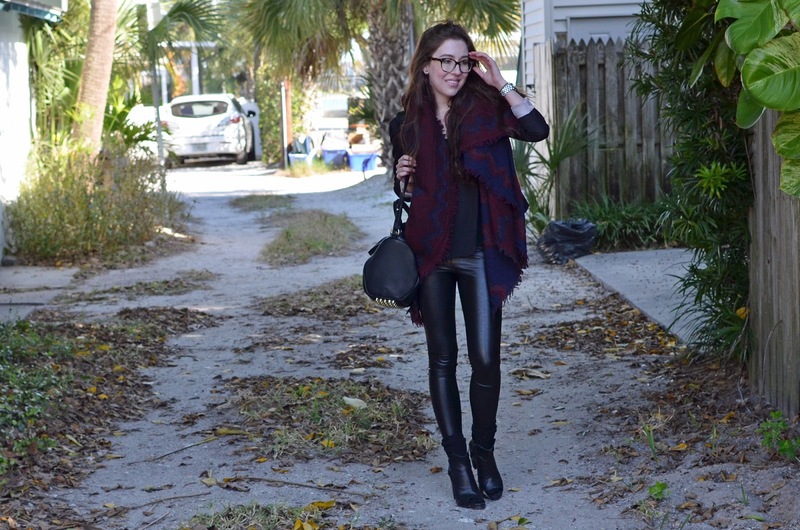 Are you sick of these leggings yet? Because I'm not. In fact, I wore them to a blogger event a couple of weeks ago and felt so fabulous in them that I made a mental note to wear them even more often. They're actually perfect. I've had them for months now, and I can safely and accurately make this assertion. They go with everything, and I've even been so bold as to not wear fully bum-covering tops with them and I've still been fine. I usually drape on my Aritzia blanket scarf for some extra security just in case, but I have yet to feel overexposed. It's kind of odd to be seeing this outfit in front of such a tropical background, as I've worn it - or variations on it - quite a few times in this cold weather. I think all-black outfits suit Canadian winter much better than the sunshine of the South, but what can I say, I'm a lover of neutrals and black! I'm also loving the Sadie photobombs here though, as she's currently cooped up inside due to the cold. She's definitely a warm-weather dog! The rest of this outfit - well, you've seen it all before. My Alexander Wang bag, which still has yet to leave my side... if I'm being honest, this has been the hands-down best handbag purchase I've ever made. Not that I regret my other designer bags, but this one... I carry it everywhere. It's heavy as all get out, but so worth it. And these boots (still with socks, sorry) will be so perfect in the warmer weather. 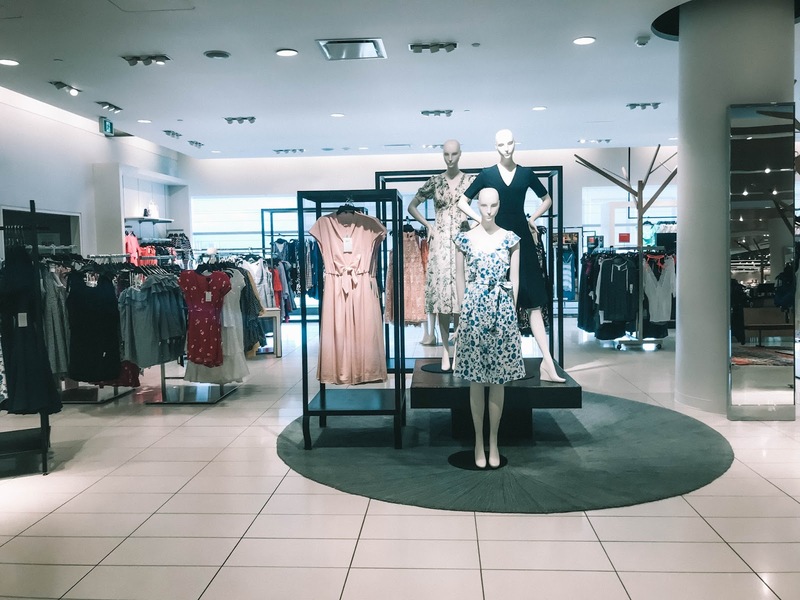 Nordstrom has recently opened in Ottawa (YASSSSS) and they have a selection of Rag & Bone shoes and clothing. My first ever purchase - on opening day, no less - was a clothing item by them that you'll see a bit later, and I'm certain it will pair perfectly with these boots. What are some of your all-time favourite purchases? Thanks so much, Kim! These boots are going to be a staple this spring and summer, I can't wait for the weather to get warmer!